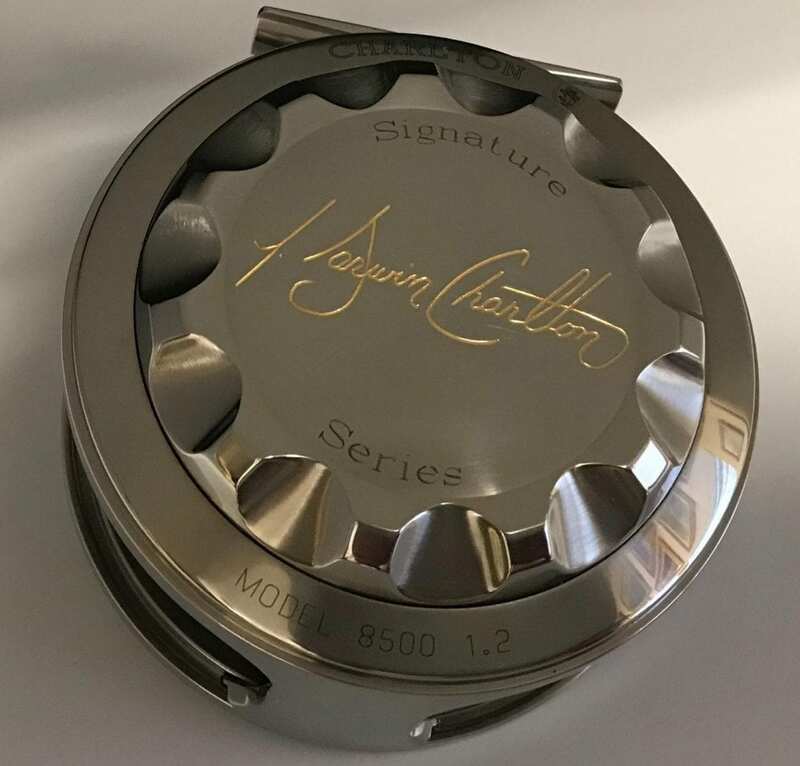 This is the first Signature Series Titanium reel ever produced, and Jack Charlton engraved his own signature on the drag knob and filled it with 18k gold—standard for all signatures applied to the titanium models. 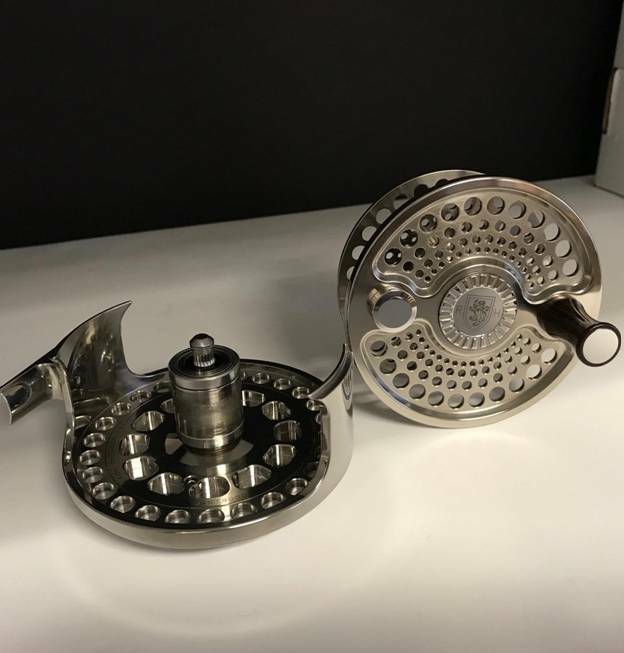 The reel has never been fished, and is in pristine condition. 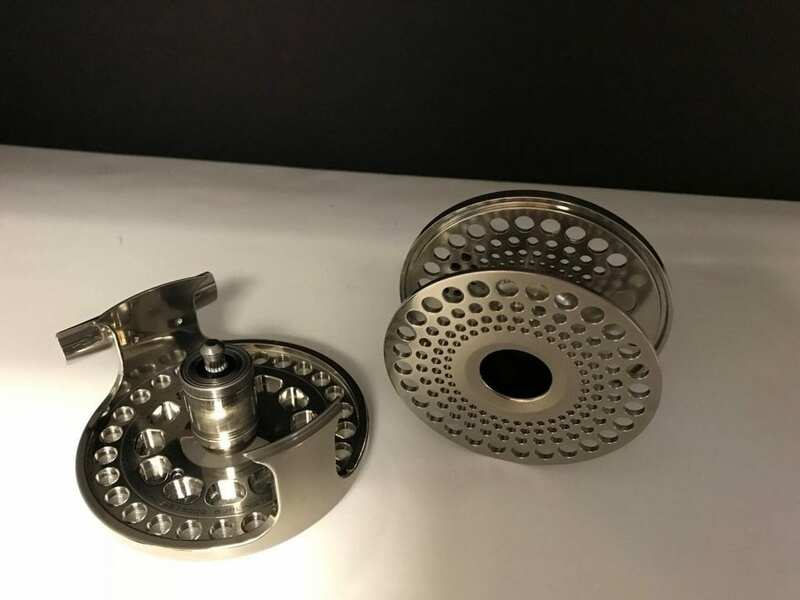 There were around 20 titanium Charlton's ever made, and all were 8500 models. This reel appeared in catalogs and Charlton promotional literature along with Judy's SST, a 1.6-inch version (see below). 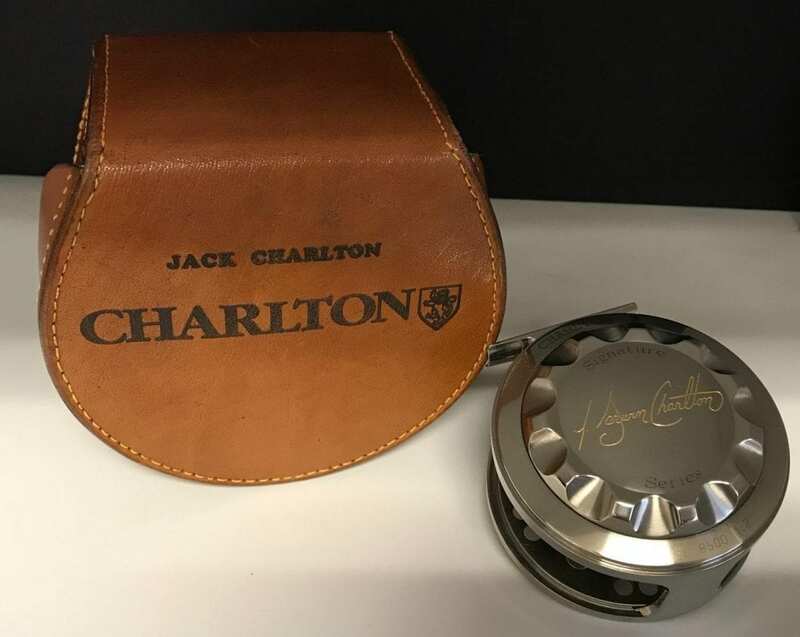 This is the rarest, most sought after fly reel ever manufactured, and comes in a leather case with Jack Charlton's name on it. 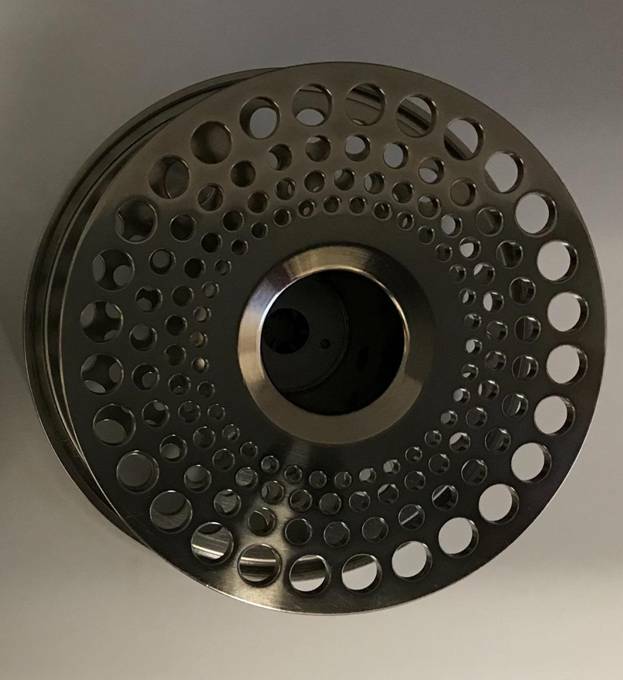 If there was a way to accurately describe how rare and valuable this reel is, it would take me years to learn how to do it. Suffice to say it's beautiful, and the summit of Jack and Judy’s efforts at Charlton reels.